Rosy has been steadily expanding on her project to document the stories of newcomers to Canada in song. We’re raising money to record She’s a Volcano, her song inspired by director, screenwriter and an activist Andy Villanueva, a young woman now in her twenties who arrived from Mexico at 6 and has been actively making Canada a better country ever since. 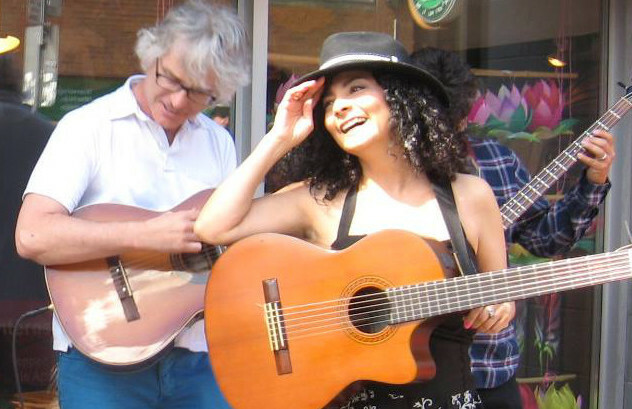 Help fund recording ... Rosy's original song, She's a Volcano, and kickstart her Dreamers project documenting the stories of newcomers to Canada in song. Cuban percussionist extraordinaire Reimundo Sosa will join Rosy and Richard November 18 to open for Mexican superstars El TRI at the Alliance Banquet Hall. El Tri is a Mexican rock band from Mexico City fronted by Alex Lora, a spinoff of Three Souls in My Mind, formed in 1968. The group is regarded as influential in the development of Mexican rock music, and this is their first appearance in Toronto. Admission: $15 for Adults. $5 for Students and Seniors. 10 years and under free. Our version of the song “El pescador” was recorded at Quantum Vox studio in Toronto November 24th, and broadcast in Memphis, Tennessee, U.S.A. on the Children’s Environment program with Sandra Figueroa on December 11th! Give it a listen! 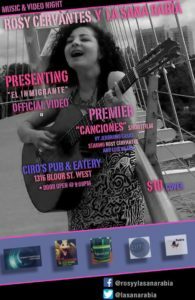 Rosy’s newest video — “El Inmigrante” — released! With thanks to our sponsors and promoters! It was standing room only—and very little of that—at Ciro’s on Bloor St. Friday night for La Sana Rabia’s official video release party. The crowd enjoyed an energetic first set, capped by a hot live rendition of “El Inmigrante,” before watching the new video directed by Jeronimo Casas and Rodolfo Peña. 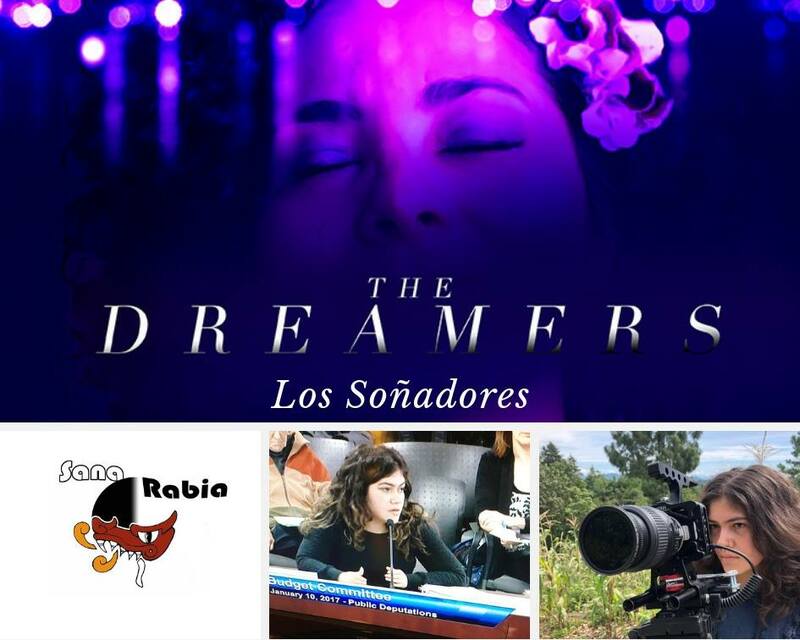 But the celebration of talent and artistry didn’t stop there… filmmaker Jeronimo Casas then premiered his short film, Canciones, starring Rosy and Luis Rojas. The event was filmed by Televisión Educativa (Mexico). You’re viewing the new WordPress site, launched September 2105. WordPress will let Rosy keep you up to date more easily, and allow comments and interaction with our fans and friends!